The Lavender Cakes: Roses & Hydrangeas.. 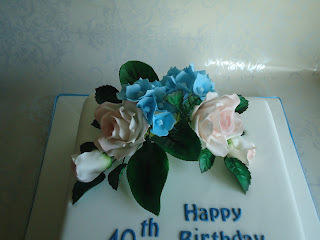 I was asked to make a 40th birthday cake with Roses and blue Hydrangeas. 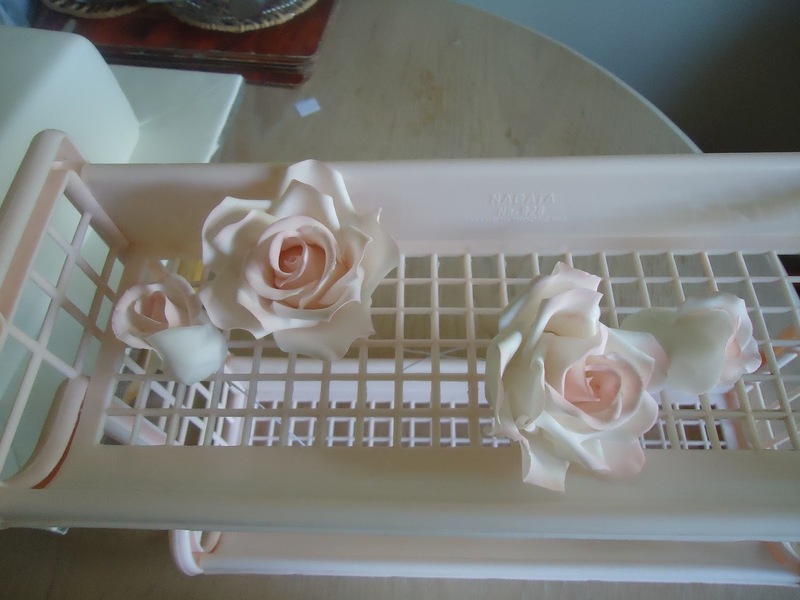 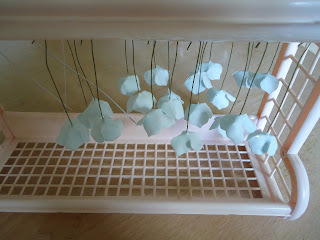 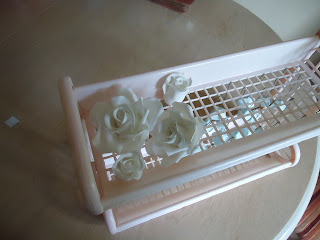 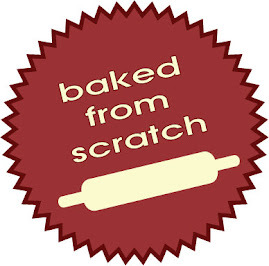 So I followed an amazing step by step from Petal Sweet Blog by Jacqueline Butler. 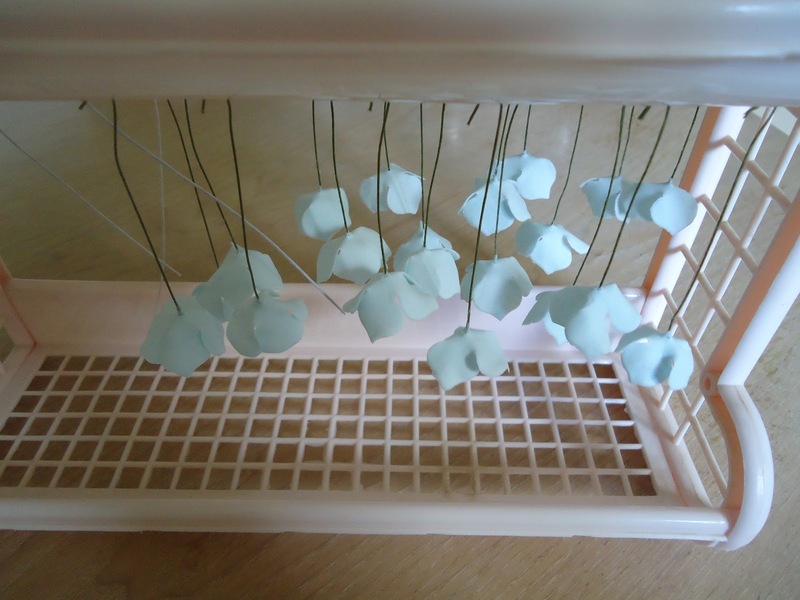 If you like to have a go at making hydrangeas, click here. 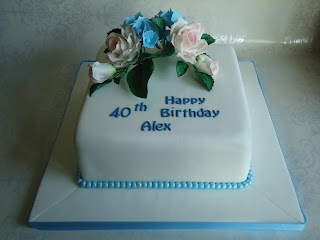 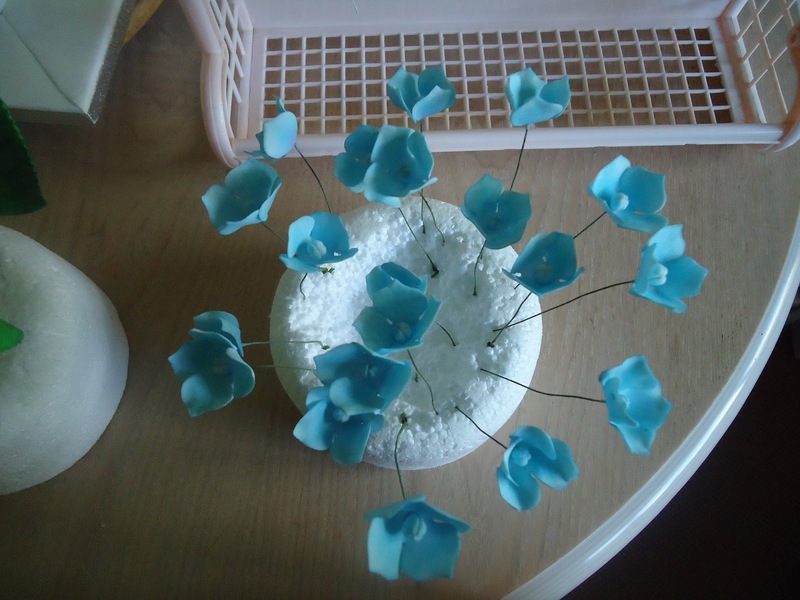 Here is the close up of the flowers before dusting..
And here is the finished cake.